PONTE VEDRA BEACH, Fla. (AP) Rickie Fowler is back at the site of his greatest victory, the one that was supposed to catapult his career. He returns to the Players Championship with just one PGA Tour win since that dramatic closing performance on the Stadium Course at TPC Sawgrass in 2015. He finished birdie-eagle-birdie-birdie to force a playoff with Sergio Garcia and Kevin Kisner, and then won on the fourth extra hole. Fowler showed the kind of back-nine resolve that’s been missing too often during his young career. The 29-year-old Fowler flashed it again during the final round at the Masters last month, making five birdies over the final 11 holes and putting pressure on winner Patrick Reed. But, once again, Fowler came up oh-so short. Fowler will try to become the seventh to win the Players multiple times, joining Jack Nicklaus, Fred Couples, Steve Elkington, Hal Sutton, Davis Love III and Tiger Woods. Those six all have something Fowler is still chasing: A major. Between the links-style setup at Shinnecock Hills (U.S. Open) in New York and the always-challenging Carnoustie (British Open) in Scotland, Fowler’s stellar ball-striking should make him one of the favorites. 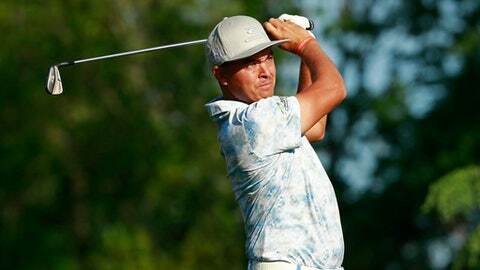 ”It’s time to get myself off that list,” Fowler said. Close friend and contemporary, Jordan Spieth, a three-time major winner at age 24, believes Fowler’s breakthrough is near. The most daunting part of Fowler’s challenge might be his early round grouping. Fowler will play Thursday and Friday alongside fan favorites Phil Mickelson and Tiger Woods , creating a mega group that will garner massive galleries and far more attention than any other. The tight layout of the Stadium Course could create even more chaos. Fowler said he plans to putt-out as often as possible to avoid ”hitting while the circus” is moving to the next hole. It wouldn’t be the first time for the PGA Tour darling and social media star. With all eyes on Fowler in that 2015 playoff, he dropped his tee shot at the par-3 17th to 5 feet and made birdie on the famed island green. His only win since came at the 2017 Honda Classic.